As promised today I am sharing Part 2 from my time at 3 Days of Design with some of the things that caught my eye (check for part 1 here). 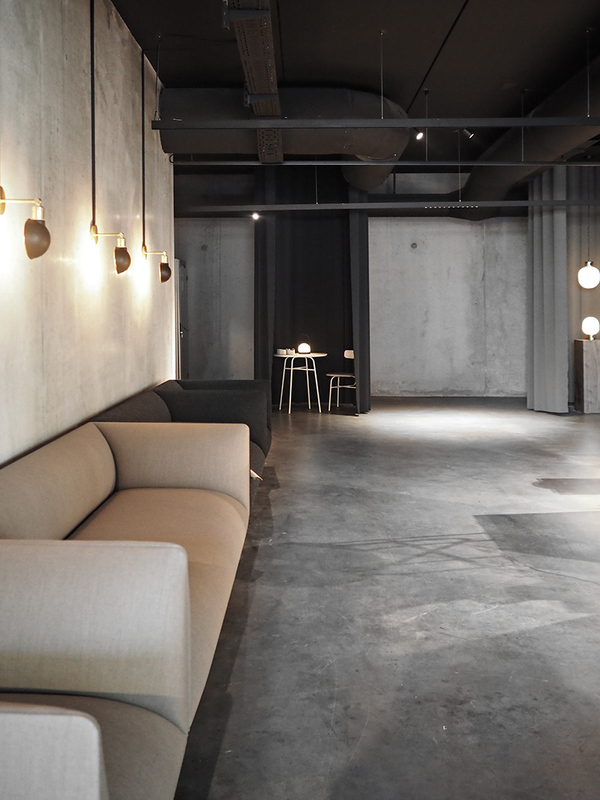 Read below for some of my impressions from Menu, &Tradition, Muuto, Republic of Fritz Hansen, Erik Jørgensen, Montana and finally a small tribute to designer Mia Lagerman. Let me start with one of the nights I enjoyed the most when I had dinner at Menu Space, Menu‘s brand new design studio, office space and cafe, in the harbor district of Nordhavn a day before their official opening. An incredible night that started with a solo violinist greeting us outside, amazing dinner with the owners of Menu, danish designers, architects,stylists and photographers, and few of the most influential people in the design world today. In front of me sat Kinfolk editor in chief Nathan Williams while on my right co-founder of Norm Architects and Menu’s Design Manager Jonas Bjerre-Poulsen who greeted us with an introduction about the space, the design process and some words on the evolution of its architecture throughout the years to come. The evening finished with an improv performance from 3 ballet dancers from the Royal Danish Ballet ( Hannah in the House also took some beautiful photos you can check out here including some of the performance). 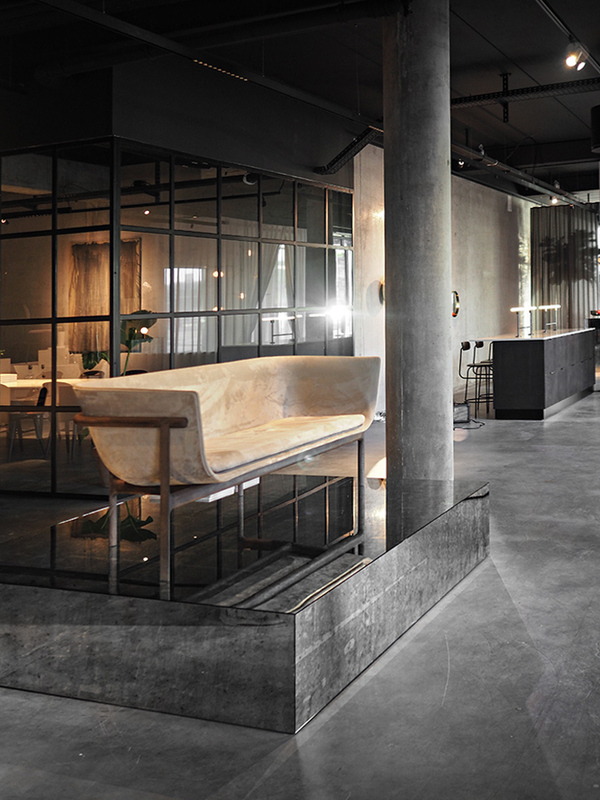 If you have time, do go by the new Menu space, it is definitely one of my first stops next time in Copenhagen! The second day after a very busy morning we headed out to the &tradition showroom . The Village, promptly named is created as a contemporary small scale version of a monochrome and harmonious village structure inside a big warehouse on the Paper Island in Copenhagen. 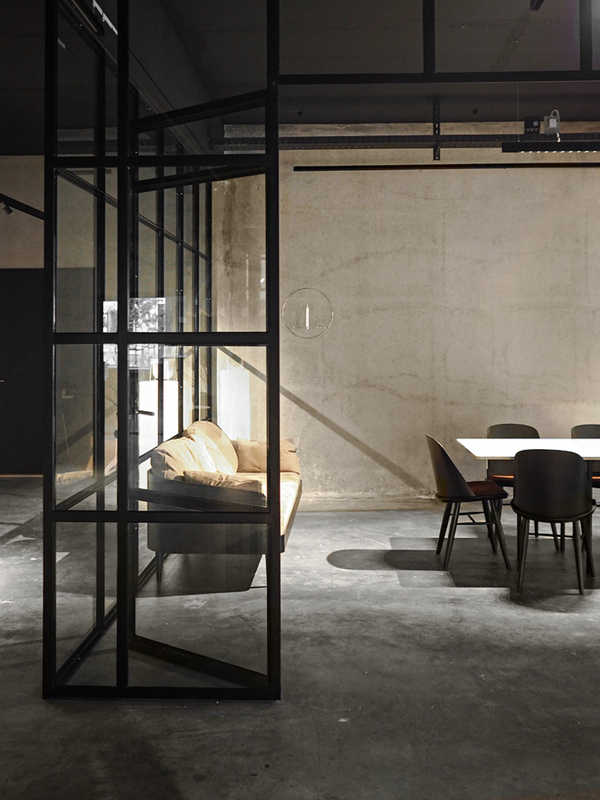 Twelve monolithic enclaves have been constructed to showcase different furniture scenarios from different designers – all varying in height to allow for different light. While each one is an entity all on its own, assembled under one roof, the space is an abstract archetype of a village. 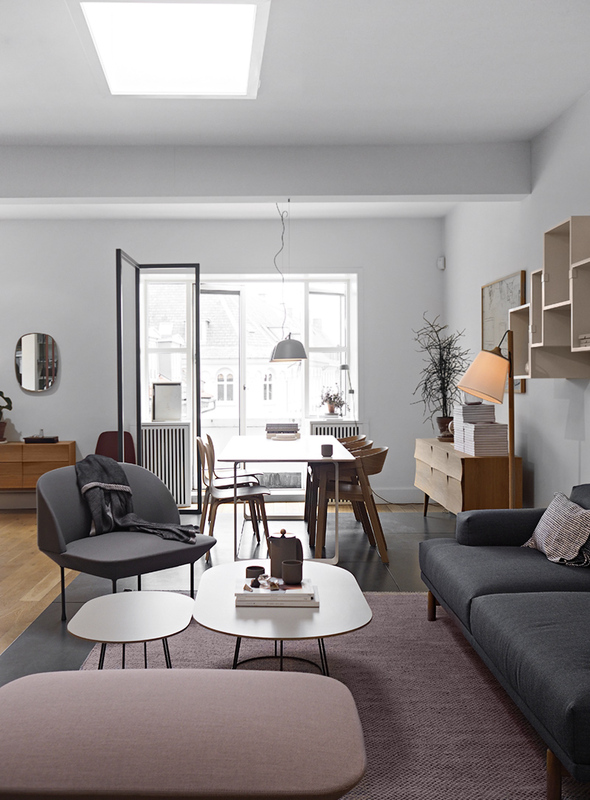 Another showroom I was looking forward to visit was that of Republic of Fritz Hansen. 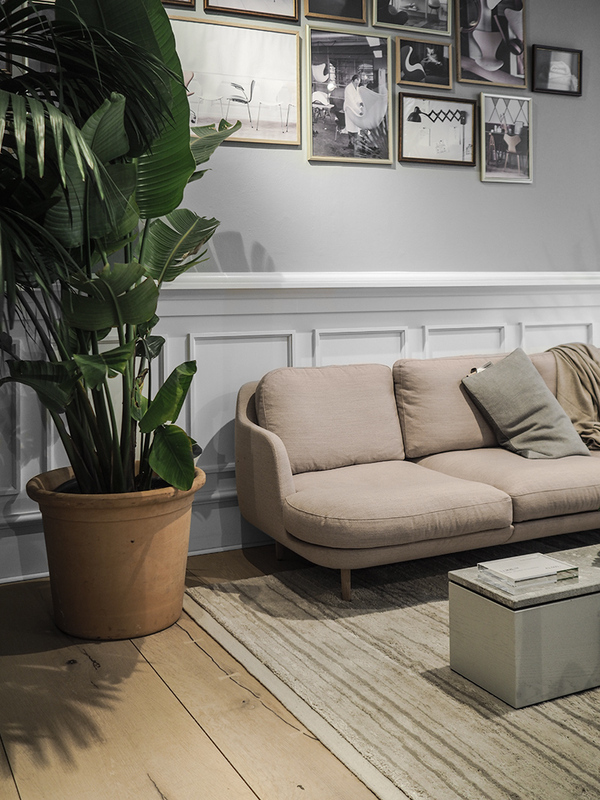 An international, exclusive design brand, founded in Denmark in 1872 with a mission to create a timeless design, Fritz Hansens collection consists of internationally recognized furniture classics and contemporary furniture, lighting and home accessories. 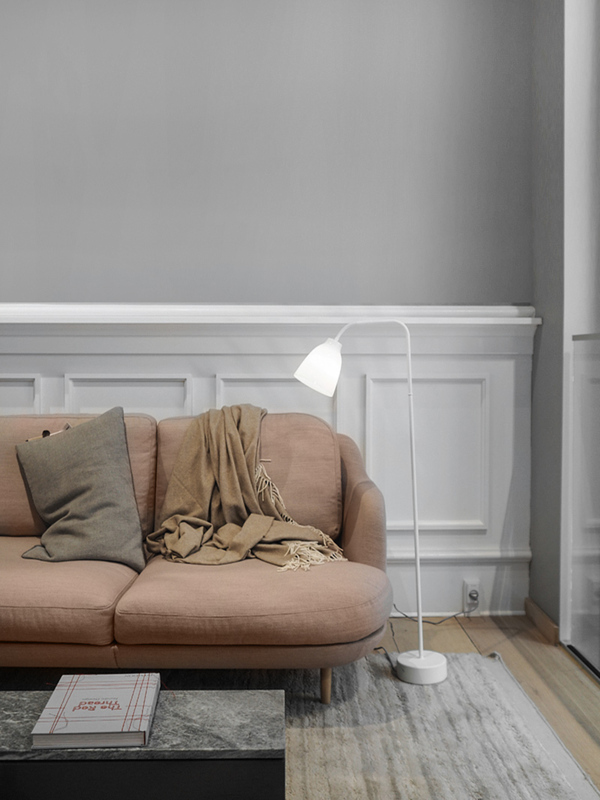 Fritz Hansen has a long tradition of collaborating with leading international designers and architects, including many large Danish personalities such as Arne Jacobsen, Hans J. Wegner ,Poul Kjærholm and one of my favorites Jaime Hayon. On the photo above and below you can see one of his recent designs that is on my wishlist, the Lune Sofa in dusty pink. 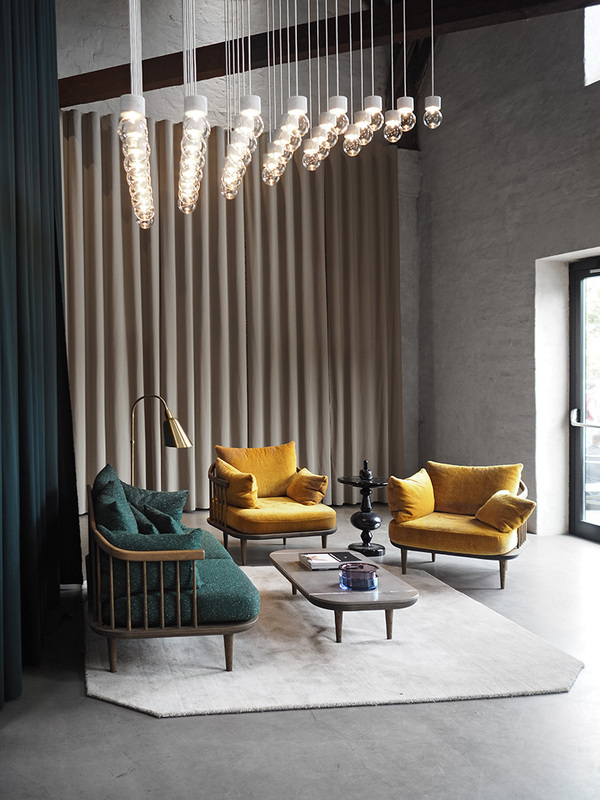 One of the reasons I arrived a day earlier for the fair was because I was lucky to be invited at the party that signaled the grand opening of the combined showroom in Bredgade 76 for Erik Jørgensen, Montana, the showroom was open to the public the next day. The first floor where Erik Jørgensen is mostly situated was designed in way that all rooms had a theme that highlighted the designs. 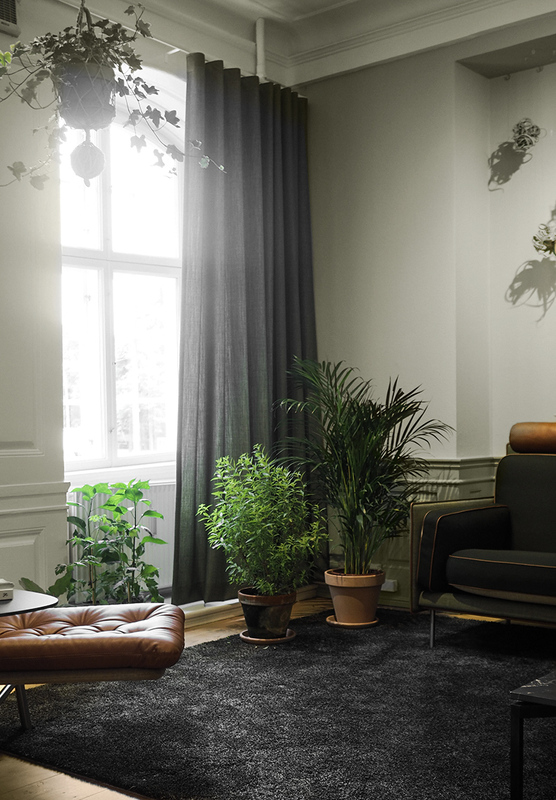 Each room has its own expression and color scheme: The Botanical Garden, the Office, Tranquility, and the Blue Room. It has been a close collaboration with Niels Jørgensen – everything from selecting furniture to textiles and the color of the rooms. My favorites , the Botanical garden as seen above, a trip into the perfect green scenery, where the furniture, walls and flooring are tone in tone, with only a few yellow and brown tones breaking the green space. 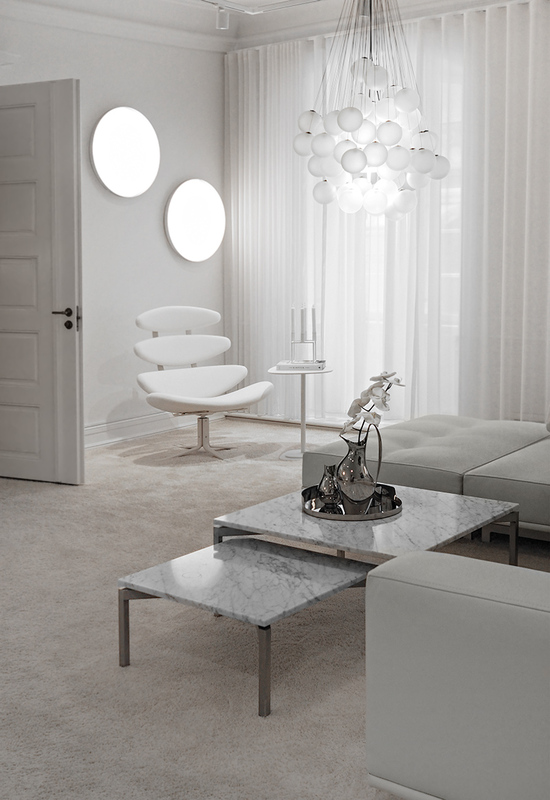 Tranquility room as seen below , all clad in white, creates a sense of surplus, purity and tranquility, as a perfect contrast to the heavy furniture classics. Montana was founded in 1982 by Peter J. Lassen and based on his philosophy of people having a need for freedom and a desire to create their own personal spaces. The showroom can be found on the second floor of Bredgade 76, also divided in several themed rooms. This time around one can find different solutions for every room of the house represented in the different spaces within the Montana showroom, from the bedroom to the bathroom themed room. 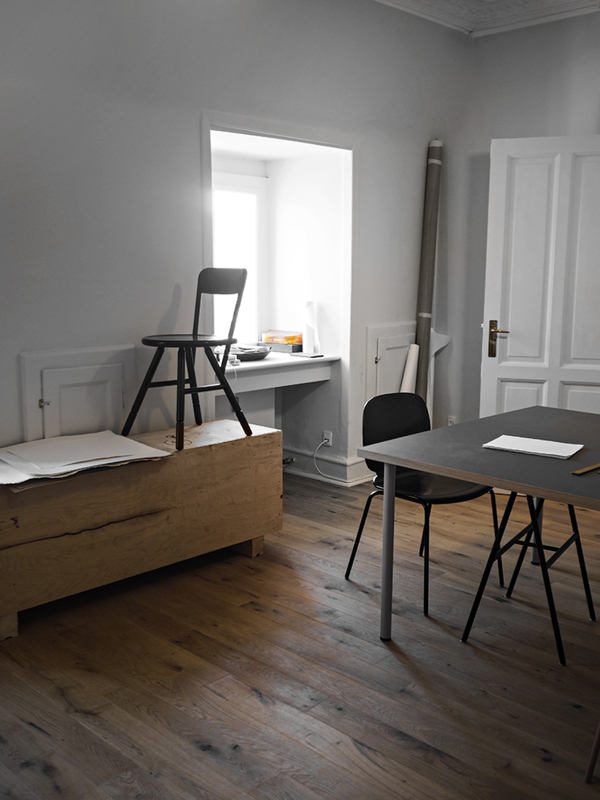 Last but not least, a few words for Mia Lagerman whose workspace and showroom can be found if you walk past Overgaard & Dyrman office and showroom on the top floor of Frederiksgade 1. 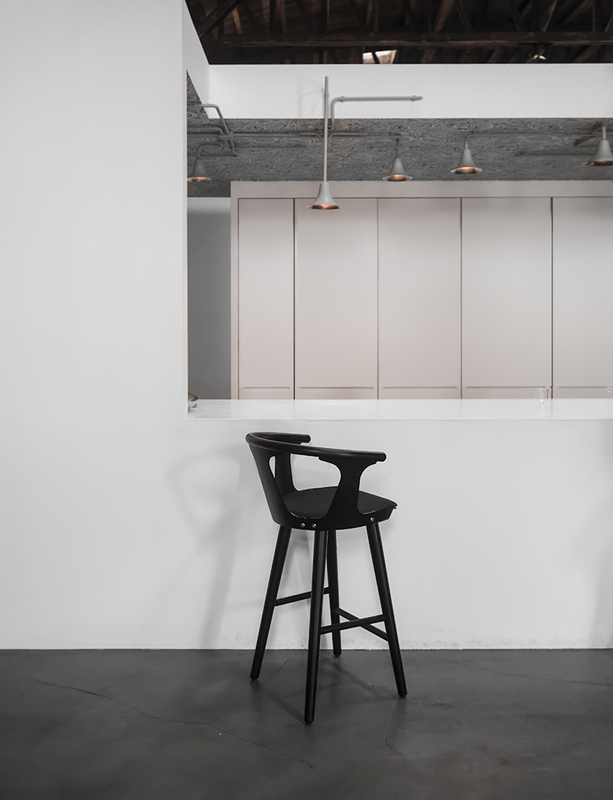 Mia works with furniture design, her interest for industrial production, form and function, and her passion for exploring material is reflected in her designs.